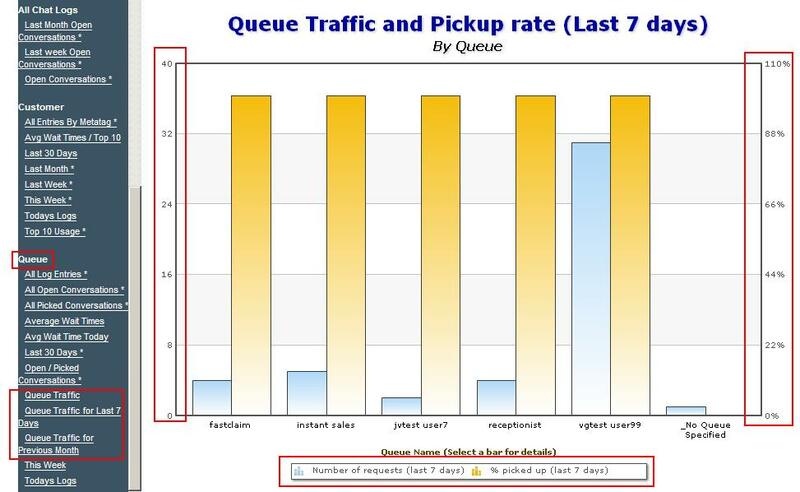 Since many of our customers deploy Queue Manager within a help desk environment, one customer requested mertics to determine how long help desk experts spend in actual chat conversations with customers. 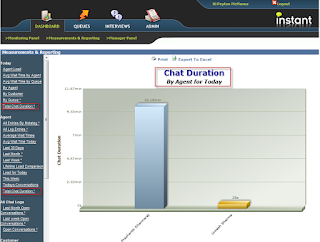 We have therefore added several new charts that will provide metrics on chat duration, and usage, for both experts and queues. Here is a sample chart that demonstrates the chat duration for a collection of experts. These new drill down enabled charts should provide a more detailed set of metrics on how long experts spend in actual chat conversations. In addition to metrics on usage, we are providing the ability to compare 2 metrics within on a single chart. For instance, display the total number of conversations for a queue as well as the percentage of inbound requests that were successfully answered (Total Requests v. % Answered). We have added a new base chart type that will allow us to layer 2 data sets within one chart. 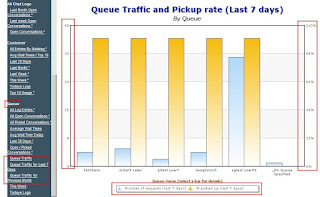 Queue Manager continues to gain great traction within environments that need a click to chat solution leveraging Lotus Sametime. With these new metrics, and chart extensions, we continue to expand our help desk platform for Lotus Sametime environments.